I almost never eat traditional "fast food". In a city with over 300 pubs, bars, and taverns, the most common fast food is really pub food, but I've noticed over the years that traditional chains like McDonald's and Burger King are becoming increasingly rare. About the only time I'm ever inclined to eat from one of those chains is when I'm on the road, because they are the kings of interstate rest stop food establishments. This past weekend, while stopping at one such rest stop, I had a terrible craving for a McDonald's cheeseburger. I eat one maybe once a year, so I figured now was as good a time as ever. I bought it (it cost me $1.19) and scarfed it down in about two minutes, mostly because I was taking the time to check my email on my phone. The bulk of their ingredients aren't terribly special, but there's a certain...something...to them that makes them tasty. 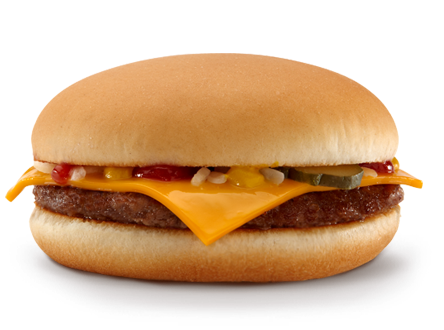 For the McDonald's cheeseburger, the ketchup and mustard combined with those little chopped onions and the pickles, contrasted with the sweetness of the sugar-laded bun, makes for an interesting flavor combination. They're bad for you, but in moderation, they can be a "guilty pleasure". It occurred to me that the qualities that make these little bundles of joy attractive are the same things that make pulp fiction attractive. They're cheap, fast reads that you can take and consume anywhere. The basic ingredients (overall writing proficiency, characters, plots) might not be that dazzling, but they're always something special in each series that makes them appealing. I mean, even a series as often disturbing as the Death Merchant wouldn't have lasted over 70 volumes if people didn't read it, right? And just as there are a myriad number of different fast food burger joints, there are a bunch of different pulp fiction types and styles, from edgy hard-boiled crime to flashy swords & sorcery, to action-packed men's adventure fiction, and within each of these, different series and authors lend their own special flavors that some people find better than others. And, while I wouldn't recommend a steady diet of nothing but pulp, they can make a great break from some door-stopper of a history book, or never-ending epic fantasy collection. As for me, although I've had my McDonald's cheeseburger for the year, I'll keep snacking on pulp fiction - at least it doesn't increase the waistline! I wondered how you were going to make this point. I find I can agree. I too eat a quarter pounder once or twice a year. My wife likes McDonald's fries a lot. most of the time when I eat burgers I go Burger King or Wendy's though. I almost never eat at McDonald's or Burger King. I will eat at Wendy's and some local burger joints. I find pulp fiction is best when you just need to relax. At my old job I would read during my lunch break. I found some of the more sophisticated stuff like Dostoyevsky or Summerset Maugham did work real well. But when I read something like The Executioner: Chicago Wipeout I felt better than when I read something of frankly higher literary quality. Now, when I got home and relaxed than I could read the more sophisticates stuff. I've also had the exact opposite happen, during unemployment I would read a lot. After reading a lot of pulps (Executioner, Destroyer, Doc Savage) it was refreshing to read Balzac's Pere Goriot. McDonalds burgers are very very nice.